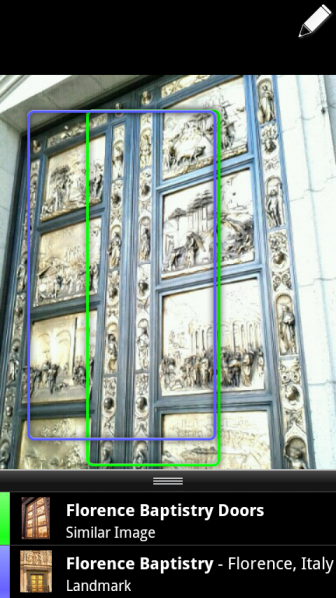 "Today, we launched a new version of Google Goggles that enhances the camera on your Android-powered phone." The new version of Goggles can now identify things in photos you've already taken. This means that fancy door you took a photo of on vacation can now be automatically linked up to more information about it. A knowledge junkie's delight!